I once flew cross-country with a group of nutritionists and dietitians, professionals and experts on the subject of what to eat. It was a late flight. We were all hungry and tired. 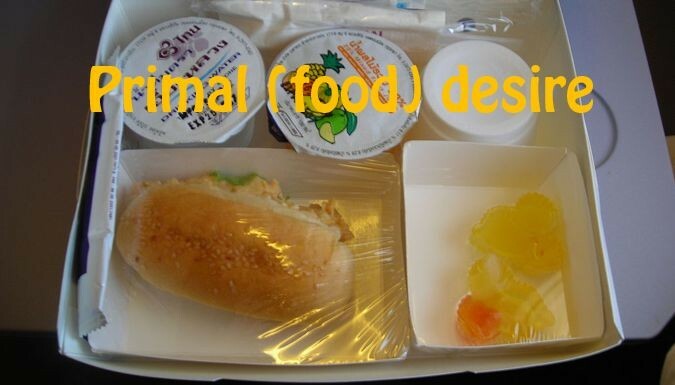 As flight attendants distributed dinner, we stared at food we would typically tell our clients to avoid. To eat or not to eat? Because we were hungry, we ate; it was a physiological need. Did we know better? Could we have waited until the plane landed and found healthier choices in the terminal? Of course. Yet knowledge deferred to primal desire (hunger), and so we ate without comment or complaint.